Researchers at DARPA, the DoD's arm that focuses on developing new technology for military application, have long been trying to figure out the best way to transmit timely information, focusing on electronic and mechanical sensors to do the job. After all, it's crucial to any military action. But it turns out that the Defense Department might have been barking up the wrong tree. 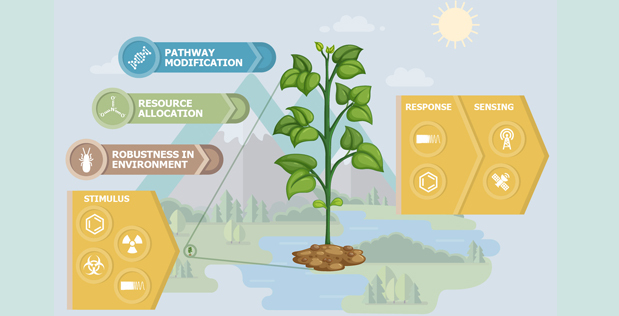 DARPA's new Advanced Plant Technologies (APT) program is aimed at growing plants that can function as spies. Plants naturally react to stimuli and environmental changes. The goal of APT is to control the stimuli that plants respond to and how they react through genetic manipulation. The main idea is that these plants would be self-sustaining, so they would act as monitors for chemicals, pathogens, radiation and other triggers while thriving in the wild. This isn't the first experiment to use plants in this way, but previous endeavors achieved their goals by using resources the plants needed to survive. This greatly reduced the hardiness of the plants. Scientists and researchers working on APT want to create a plant that can function as a sensor but also doesn't impact the health or longevity of the plants they create. The DoD will be taking proposals for APT on December 12th at an event in Arlington, VA. Interested parties can register through December 6th. DARPA's certainly done some interesting stuff in the past, but it will be very interesting to see what comes out of APT.